The full spectrum of Chic magic from back in the 70s – all the group's early albums, rare singles and mixes, and even the Sister Sledge album handled by Nile Rodgers too! First up is the group's self-titled album – classic work from Chic, and a great batch of choppy funky dancefloor tunes! 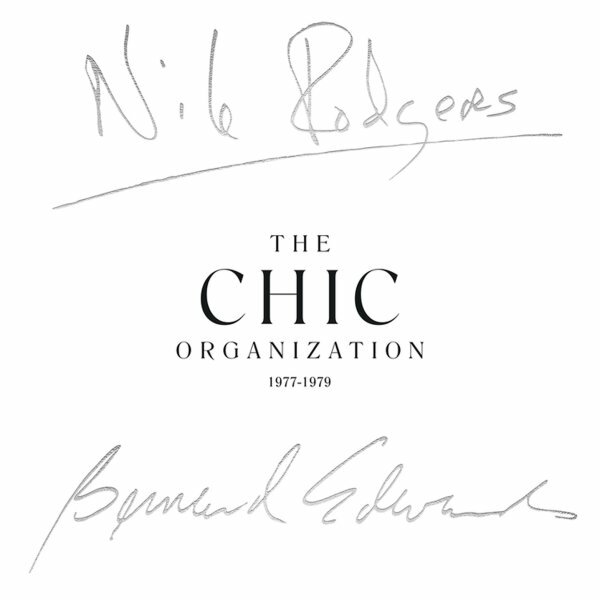 By the end of the 70s, Chic were so ubiquitous it was hard to remember the early power of this set – but from the perspective of 30 years later, the album's a real gem – set up with a simple focus on the rhythms that's made even better by the choppy guitar of Nile Rodgers, and his superbly soulful work on production alongside Bernard Edwards. Vocals are by Luther Vandross, Norma Jean, and Edwards – and titles include "Dance Dance Dance", "Strike Up The Band", "You Can Get By", and "Sao Paolo". Next is C'Est Chic – a massive set from the legendary Chic – and a set that has the dancefloor combo coming down perfectly throughout! Riffing Nile Rodgers guitars really make the tunes cook – as does the superb production – and although the record played plenty in discos and radios of the mainstream, it's still got a raw funky power that holds up brilliantly over the years! The set features the legendary "Le Freak" – a classic cutting track from the old school – plus "I Want Your Love", "Sometimes You Win", "Savoir Faire", "Happy Man", and "(Funny) Bone". Risque is a massive classic from Chic – a record that's worth it alone for the classic cut "Good Times" – a buoyant groover that was instantly timeless upon release, and went on to transform the sound of disco, hip hop, and many other styles to come! The whole thing's great, though – full of that perfect Nile Rodgers studio genius – with just the right sort of bass, beats, and riffing guitars – all peppered with vocals that really do a heck of a lot with just a little. In addition to "Good Times", other cuts include "A Warm Summer Night", "My Forbidden Lover", "What About Me", "My Feet Keep Dancing", and "Can't Stand To Love You". Next is the album We Are Family – possibly the greatest moment ever from Sister Sledge – a set that has the Philly quartet teaming with the Chic team of Nile Rodgers and Bernard Edwards! Rodgers' guitar brings in a hell of a groove to the record – that choppy, skittish sound that made Chic such a favorite at the time – which makes for a surprisingly great combination with the sweeter vocals of the group. There's a definite sense of groove going on here – heard most famously in the huge hits "We Are Family" and "He's The Greatest Dancer" – and continuing strongly through other numbers like "Thinking Of You", "Easier To Love", "One More Time", and "Lost In Music". The set also features a full extra CD – with bonus cuts that include "Everybody Dance (12" mix)", "Dance Dance Dance (7" edit)", "You Can Get By (7" edit)", "My Forbidden Lover (12" mix)", "My Feel Keep Dancing (7" edit)", "Le Freak (7" edit)", "Good Times (7" edit)", and "I Want Your Love (7" edit)". All CDs newly remastered – and comes with a 40 page booklet too! © 1996-2019, Dusty Groove, Inc.